In this Blender 2.5 video tutorial, you'll see how to do some fairly intensive sculpting on creating a rock face. This tutorial makes use of a technique very similar to sketching by layering large numbers of stroke over one another to automatically create much of the detail. 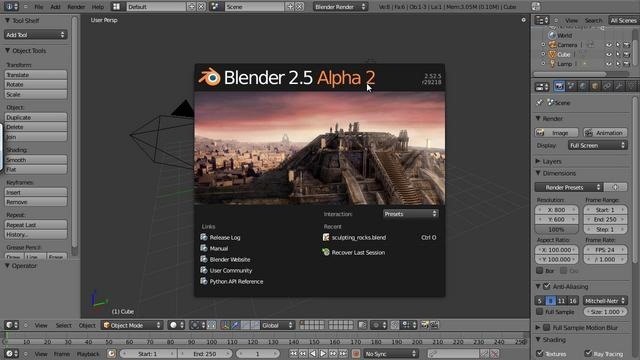 Whether you're new to the Blender Foundation's popular open-source 3D computer graphics application or are a seasoned digital artist merely on the lookout for new tips and tricks, you're sure to be well served by this free video software tutorial from the folks at CG Cookie. For more information, including step-by-step instructions, take a look!